Sharp Bros. Seed Co. carries a complete line of high quality seeds for all your turf needs! Not sure what you're looking for? We suggest you start with how much time you have to devote to your lawn. Option #1: Warm season grasses have a shorter growing season, during the heat of the summer, and tend to use less water. They are regionally adopted and can achieve dormancy when little to no water has fallen, giving them the ability to hold-out for the next rain. 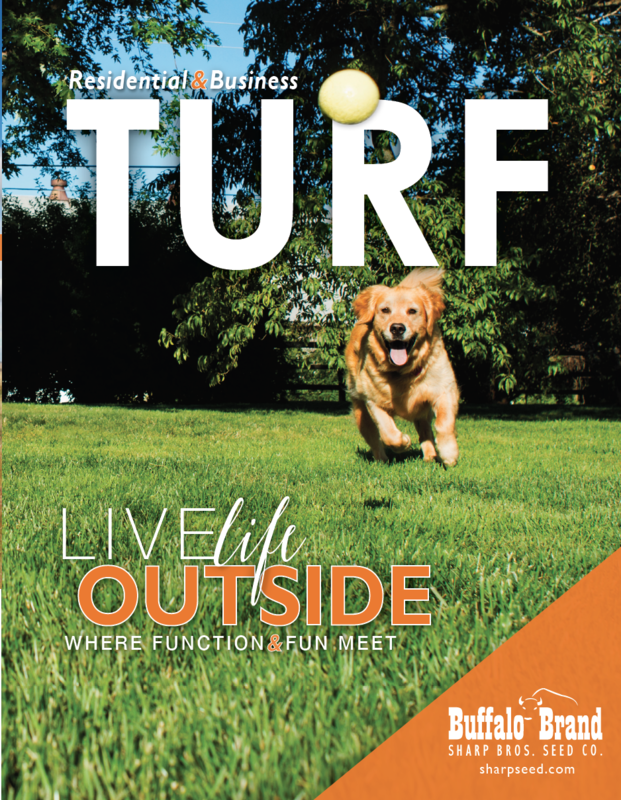 If you are looking for a lush, low maintenance turf this water conserving turf grass may be what you're looking for. Option #2: Cool season grasses are better adapted to climates that receive more rainfall, than you'll find in western Kansas. However they have a longer growing season, turning and staying green longer than warm season. So, if you don't mind extra watering and maintenance; cool season might be what you're looking for.